I'm not familiar with darkmod, but using darkradiant has been a blessing for me. I have a problem with texturing inverted endcaps, I can't seem to normalise the UV on the patch. 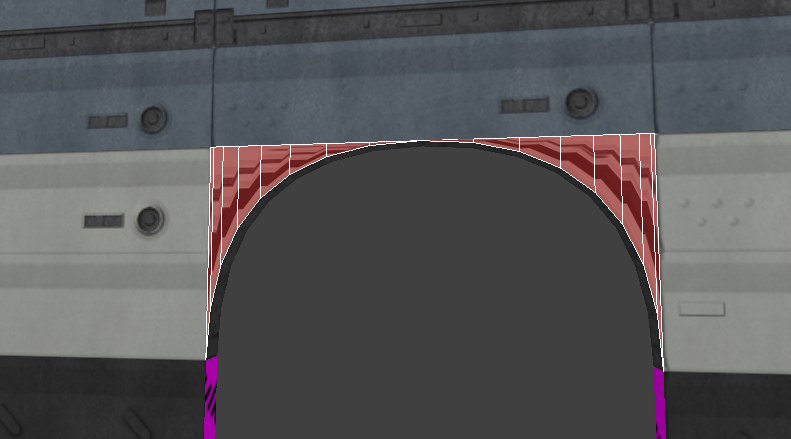 I try everything in surface inspector but I keep ending up with "overstretched" texture. What am I missing? Middle mouse click on the white texture to the left of the cap, then CTRL + Middle mouse click on the cap. Should copy the projection from the first texture.